After Twenty One Pilots and Mutemath teamed up for the North American leg of their Emotional Roadshow tour, they planned to reimagine five songs to be released in a free 25-minute presentation video and available to download. Well, the video is officially out and you can consider it an early Christmas present that you can unwrap right now. The video begins with a psychedelic rock version of "Heathens" followed by the head-bangin "Heavy Dirty Soul", where they give it a little Die Antwoord vibe. The video shows clips of the rehearsal the day earlier - which gives us a look into the process of this collaboration - right before going into the next track "Ride". They bring out the tambourine and trumpet for the incredibly fun, catchy and upbeat song "Tear In My Heart, which is a huge highlight of the video. The video finishes up with "Lane Boy," which has a slow build up but once the chorus hits, it turns into a total banger. 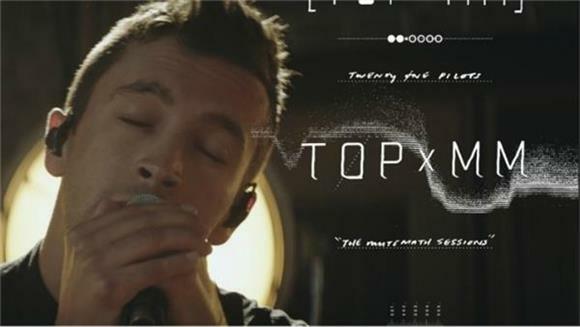 We say Twenty One Pilots and Mute Math need to release a TOPxMM full-length album - what do you think?